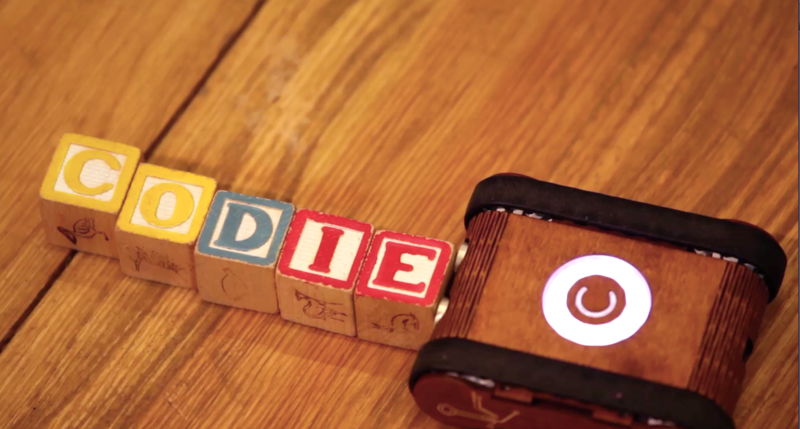 Codie is a robotic toy and a custom-built graphic coding language. Codie is an educational tool which fits into the playing style of the children and augments their experience — blurring the line between learning and play. While playing with Codie, the children become familiar with logical thinking that all technology is based on while gaining invaluable problem solving skills along the way. Codie provides educates on algorithmic thinking without the constraints of traditional educational tools. The Codie app makes it fun for children to learn algorithmic thinking. We organized complex robotic code into colorful blocks children can arrange and connect with arrows showing the direction of execution. While having fun, they learn the basics of coding, using real programming patterns, including: if-else structures, loops, varia-bles and subroutines. 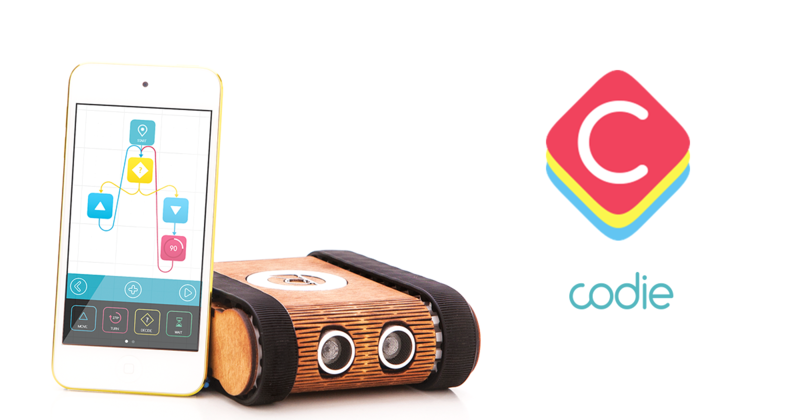 The Codie robot is an affordable and fun toy that pairs with the intuitive app. 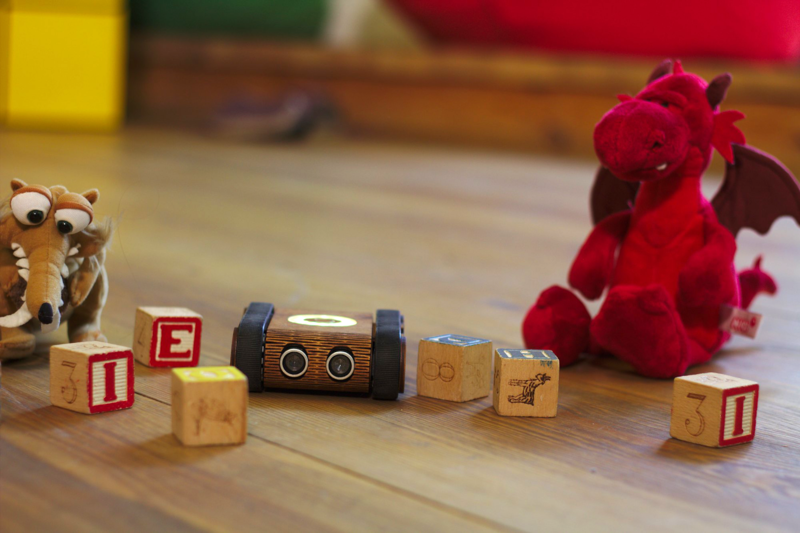 This sturdy robot is stuffed with equipment and sensors that make it responsive and fun. Codie will provide entertainment for the whole family for many hours to come. Codie comes fully assembled, just take it out of the box, pair it with your smartphone via wireless Bluetooth connection and play. The body of the Codie robot is carved out of high-quality wood and every single unit is hand-crafted. Technology needs to be part of every child’s education and schools have realized that they need to expose children to technology at an early age. Constraints in our educational system result in the inability to pay attention to every child’s own unique needs. At Codie, we want to inspire these young bright minds to be interested in learning about technology while having fun at the same time. Codie is not just a toy, but rather a creative tool. It’s a companion that augments other games. Playing with Codie is a high-quality learning experience, and it allows your child to understand coding in a fun and interactive way. Children get empowered by the knowledge they get with Codie and the whole process feels natural and seamless. Codie grows with your child. It provides more sophisticated programs as your child surpasses the basics. While playing with Cody your child will become familiar with the logic of computer coding — providing a foundation of understanding they will draw from for the rest of their lives. Dieser Eintrag wurde veröffentlicht in Development, Education & Studies, English, General, Hardware, Programming und verschlagwortet mit app, Codie, Education & Studies, Mobile, Programming, Robot von Sebastian Trella. Permanenter Link zum Eintrag.